Zachary Kaye is a 17 year old Senior at Colonia High School, with his birthday on September 30. He plays football for the school and is a captain of the team. When not playing, he is a huge sports fan and enjoys watching sports. One of his favorite activities during the NFL season is participating in Fantasy Football with his friends. His favorite sports teams are the NFL Philadelphia Eagles, the MLB New York Mets, and the NBA Philadelphia 76ers. Another hobby of his is to watch movies, mainly superhero ones. His favorite movies are Captain America: The Winter Soldier, and Thor Ragnarok. Kaye is very big into music and his favorite artist is the singer/rapper Post Malone, although he enjoys almost all genres. He Lives at home with his mother and his sister. 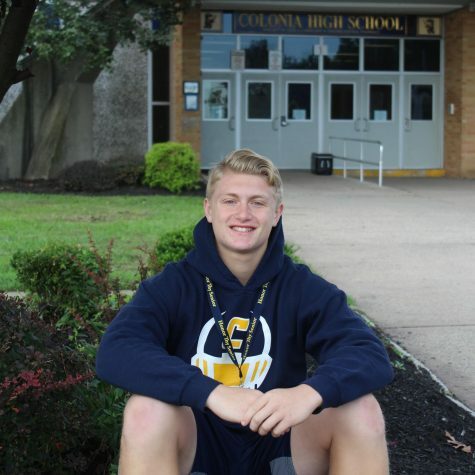 He is not sure of a major yet and hopes to go to either Quinnipiac University or Rowan University and find a passion for something within the next few years.